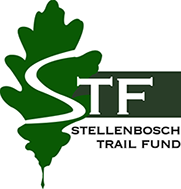 The Stellenbosch Trail Fund aims to keep the Stellenbosch trails “ permit-free” to allow trail-users from all spheres of life to use them ( advantaged and disadvantaged). All funds raised will go towards trail-building and maintenance of the STF trails , which are on Municipal and University of Stellenbosch property. The auction will be held on Wednesday 21 November at the Tokara Deli at 18:00.